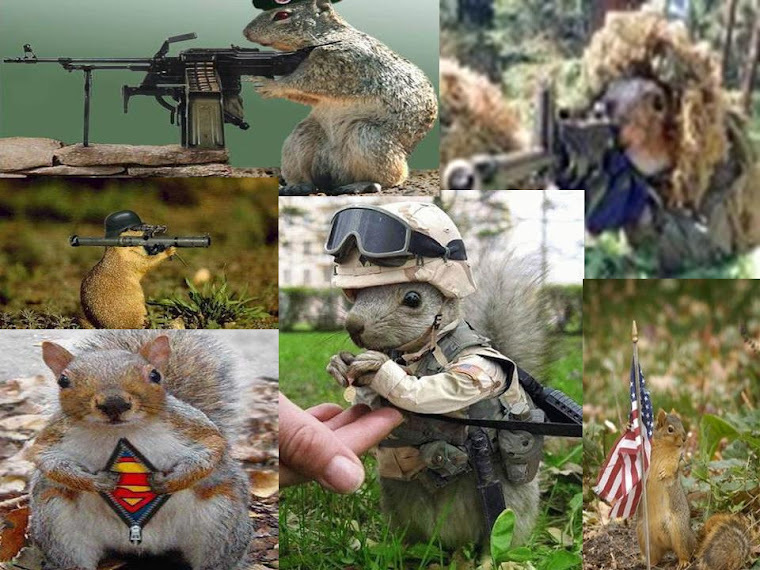 Vigilant Squirrel Brigade: U.S. out of U.N. - U.N. OUT of NY: a Vocal Demonstration! 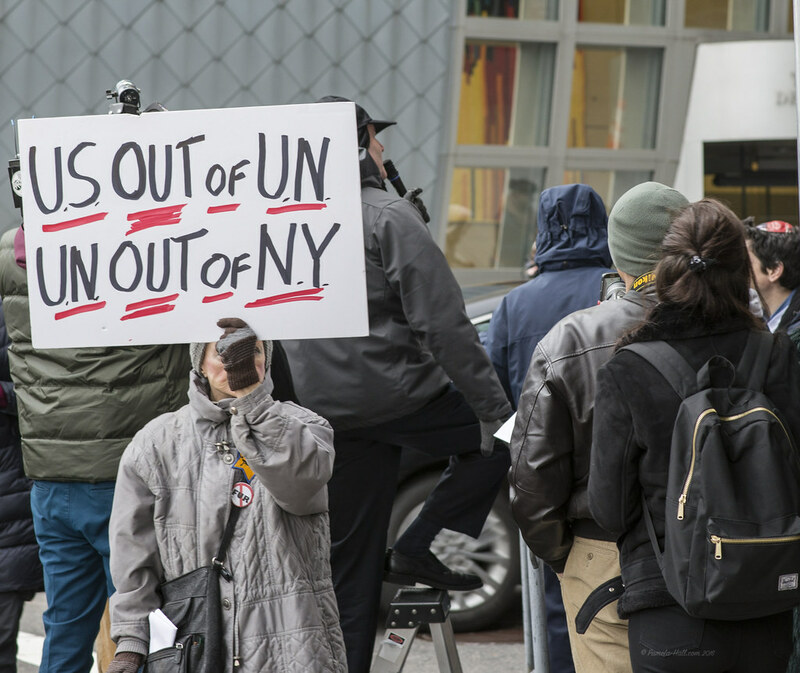 U.S. out of U.N. - U.N. OUT of NY: a Vocal Demonstration! December 28, 2016 - Noon - It was a small but vociferous gathering, across from the UN. 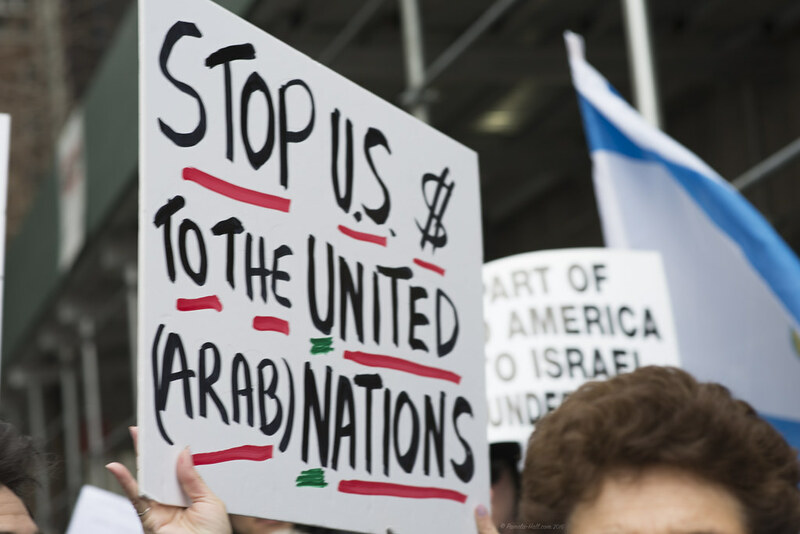 Making their VOICES be HEARD:"U.S .out of UN/UN OUT of NY" and "Stay Strong Israel"
There many signs with pointed messages held high. Disappointed I wasn't able to capture a more complete recording of the protest, there were many speakers. Unfortunately, it was impossible to get a position to film the speakers. 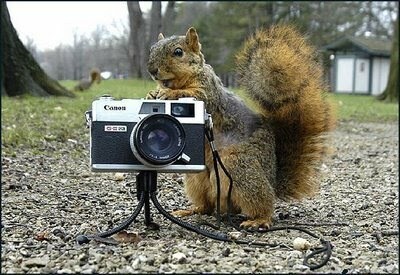 The many police officers kept pointing towards the back of the enclosure, which is useless for photographers and video. But, the signs themselves convey the purpose of this rally, speakers and signs, held true .... U.S. the time is now.... Get OUT of the U.N. ! Time to say "buh bye" to the tyrants who hijacked the UN. Let them move back to Europe (or wherever). The building is falling apart away and the winds of REAL change are finally HERE. During his disappointing Middle East foreign policy address on Wednesday, December 28th, Secretary of State John Kerry spewed forth his usual litany of lies and exaggerations while threatening Israel with its very existence if she did not agree to commit suicide by capitulating to the creation of an Arab terrorist state in the Jewish heartland of Judea and Samaria. 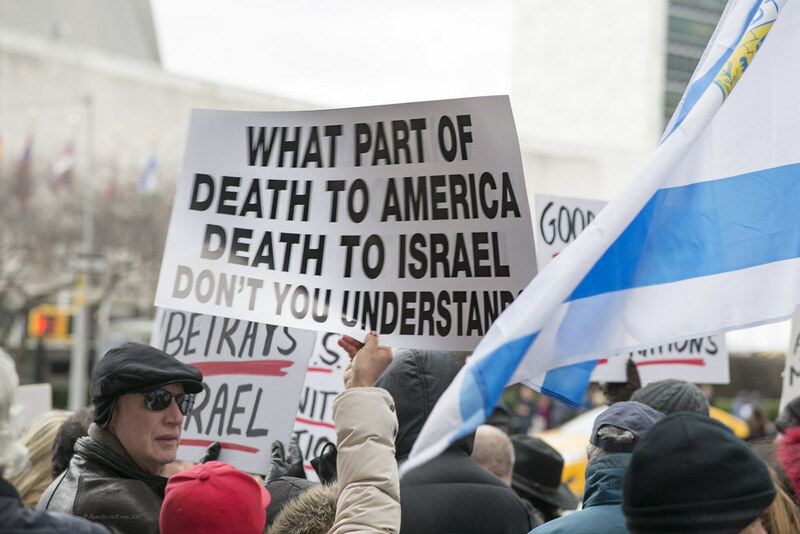 As he uttered his didactic rhetoric, a hearty gathering of pro-Israel activists gathered outside the US Mission to the UN, protesting the despicable anti-Israel Security Council resolution passed last week, and strongly condemned Kerry's pathetic and plaintive cries. The resolution should never have passed, except for the direct intervention of the Obama administration who gave explicit instructions to UN Ambassador Samantha Power to abstain, rather than vetoing it as has been the decades long policy of the US when it comes to Israel at the Security Council. 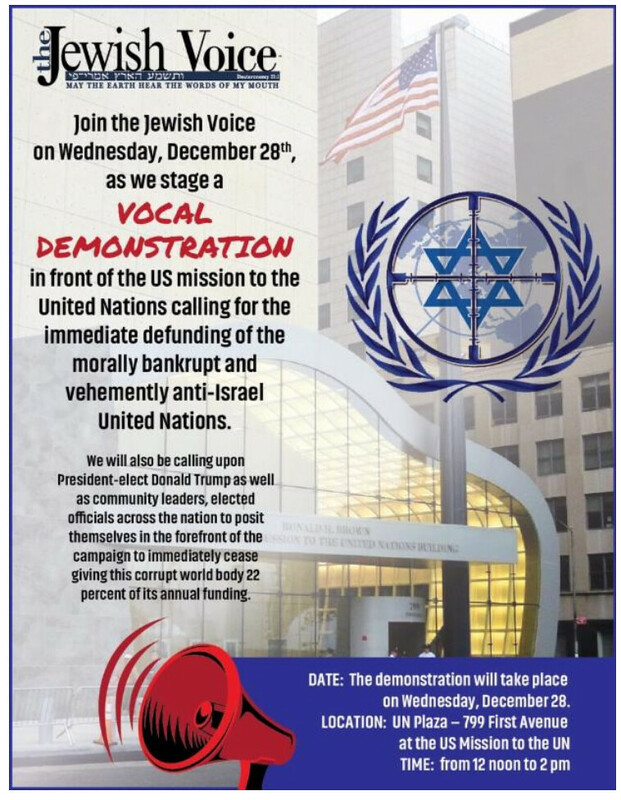 The rally, (coordinated by David Ben Hooren, publisher of the Jewish Voice as well as Fern Sidman, the editor of the paper), saw speaker after speaker lambast the Obama administration for its abysmal perfidy, while encouraging those gathered to “stand strong, and to stand strong with Israel.” As President-elect Trump recently tweeted, "Stay strong Israel, January 20th is fast approaching!" Speakers at the rally included renowned Jewish activist and philanthropist Jeff Wiesenfeld, Executive Director of Americans for a Safe Israel, Helen Freedman, longtime Jewish activist and cantorial impresario Charlie Bernhaut, President of JCC Watch Richard Allen, former Congressional candidate Philip Rosenthal, Rabbi Gideon Shloush and prolific author, speaker and Jewish personality, Rabbi Shmuley Boteach. 1) The US should end its funding of the United Nations, and better yet, relocate that bastion of infamy to another country, say, Syria or Angola. 2) The US action in the UN harms not just Israel, but the US itself. There is bipartisan understanding in Congress that Obama's action to abstain in the UN was a terrible decision, detrimental to the US. 3) More and more people (including Democrats!) are realizing how dangerous Obama has been to the United States, and are finally acknowledging the poor state of affairs he is leaving the country in, for the next president. 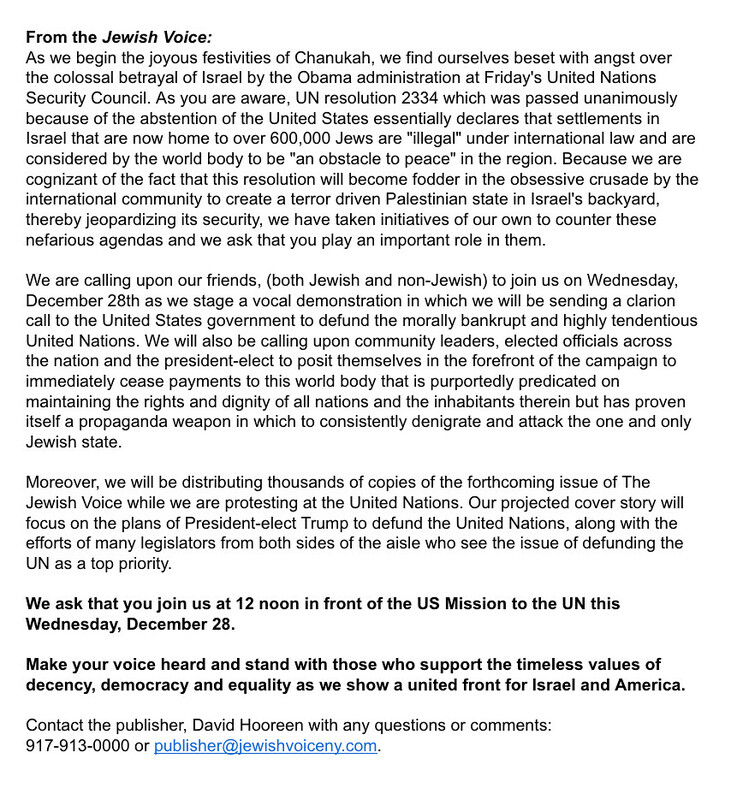 4) People are also realizing that the recent and ongoing brouhaha regarding Israel in the UN, and between Israel and the Obama administration, is not just an Israeli or Jewish issue, but one that concerns the country as a whole. 5) How fitting, that the current furor is occurring during the holiday of Chanukah, when Jews celebrate the victory of a small handful - the Maccabees - against the Greeks, and the victory for religious freedom against assimilation. 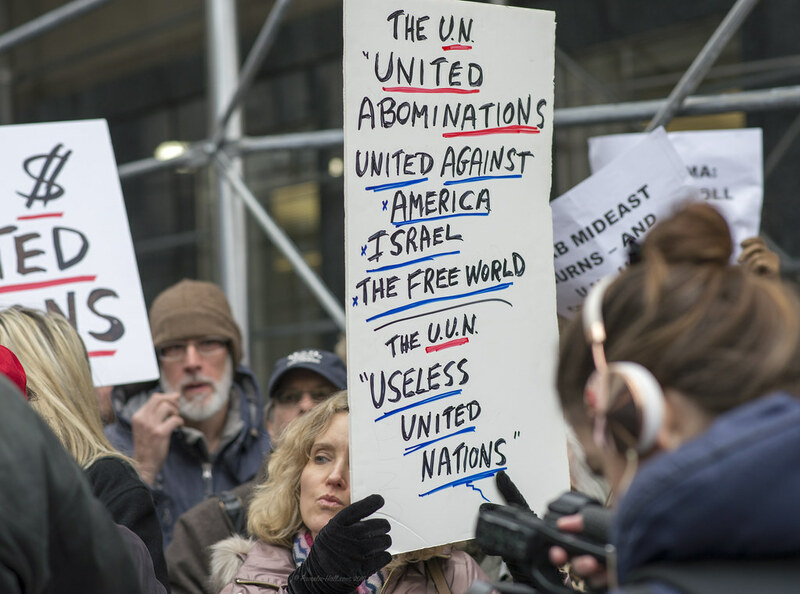 Nearly 100 sign-waving, chant-shouting protesters crowded the UN as American and Israeli leaders continued to spar over the U.S. delegation's controversial vote last week on the touchy settlement issue. 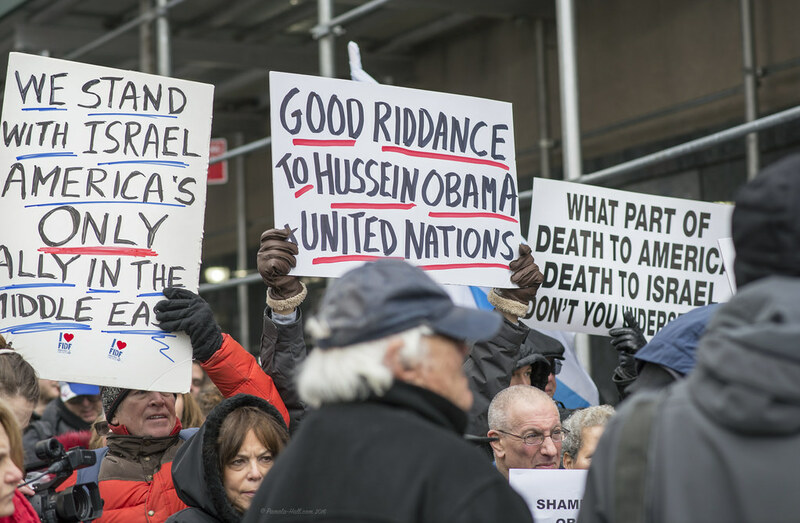 "Stop U.S. $ to the United (Arab) Nations," and "Hussein Obama betrays Israel, protesters condemned Obama and spoke of the incoming president with hope and excitement. I believe that the steps taken by the president here on his final 30 days in office break historical president, barriers, and present all kinds of problems — not only for the security of our most important ally, that being Israel in the Middle East, but also for potential implications on how it affects us, and our relationship to the region," said Kevin McCullough, a syndicated writer and talk show host, who spoke at the rally. "It is impossible to accept what President Obama and Secretary of State Kerry even were talking about this morning with any degree of seriousness. We have not been a good friend to Israel over the last eight years and it is time that we stop kicking them in the teeth at every opportunity." Demonstrators rallied Wednesday to protest the U.S. delegation's controversial refusal last week to block a U.N. Security Council vote condemning Israeli settlements in the West Bank and East Jerusalem.